To estimate the possible reduction of tube output as a function of head size in dental cone-beam computed tomography (CBCT). A 16 cm PMMA phantom, containing a central and six peripheral columns filled with PMMA, was used to represent an average adult male head. The phantom was scanned using CBCT, with 0-6 peripheral columns having been removed in order to simulate varying head sizes. For five kV settings (70-90 kV), the mAs required to reach a predetermined image noise level was determined, and corresponding radiation doses were derived. Results were expressed as a function of head size, age, and gender, based on growth reference charts. The use of 90 kV consistently resulted in the largest relative dose reduction. A potential mAs reduction ranging from 7 % to 50 % was seen for the different simulated head sizes, showing an exponential relation between head size and mAs. An optimized exposure protocol based on head circumference or age/gender is proposed. 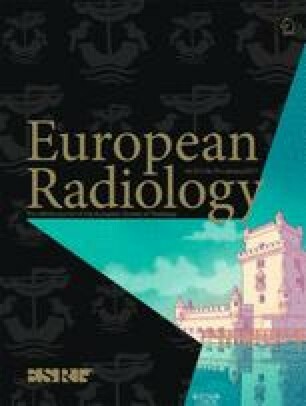 A considerable dose reduction, through reduction of the mAs rather than the kV, is possible for small-sized patients in CBCT, including children and females. Size-specific exposure protocols should be clinically implemented. The online version of this article (doi: 10.1007/s00330-016-4353-z) contains supplementary material, which is available to authorized users. The scientific guarantor of this publication is Dr. Ruben Pauwels. The authors of this manuscript declare no relationships with any companies, whose products or services may be related to the subject matter of the article. This study has received funding by Chulalongkorn University. No complex statistical methods were necessary for this paper. Institutional Review Board approval was not required because this was a phantom study. Methodology: experimental, multicenter study.